"It's the perfect kind of chapstick. You can use it all the time and it doesn't make your lips more chapped. It also doesn't have that medicated smell--which is very nasty!" "I travel frequently and always forget to pack lip balm. Now, part of my travel ritual is to buy Alaskan Lip Care at the gift shop when I am passing through the Juneau International Airport." "The Great Alaska Soap Companies quality ingredients and unique blends carry a retail draw for a wide variety of customers. 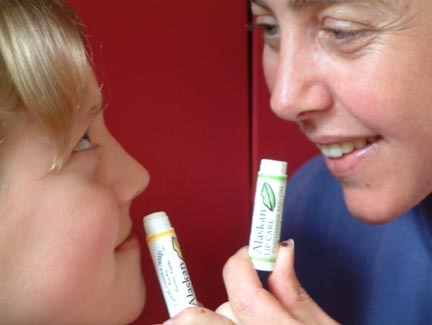 The Bug Blend's effectiveness sells itself while the Lip Care's benefits become obvious with the first use. Many people like that these useful items are also momentos from Alaska. 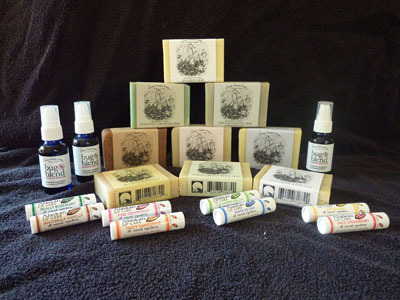 In my little herb store this summer, The Great Alaska Soap Companies products were my best sellers." "Thank you so much for the fast order. The products are great. I sold one lip balm as I was setting up the display, and a soap yesterday as well." "We keep re-ordering it. It's popular with tourists because it's a local product."